La Bastida is located SW of the town of Pego, on a hill framed by canyons to the east and west, while to the north the hill has a profile with several abrupt crags. The only access is from the south at 344 m, where there is a wall about 113 metres long. 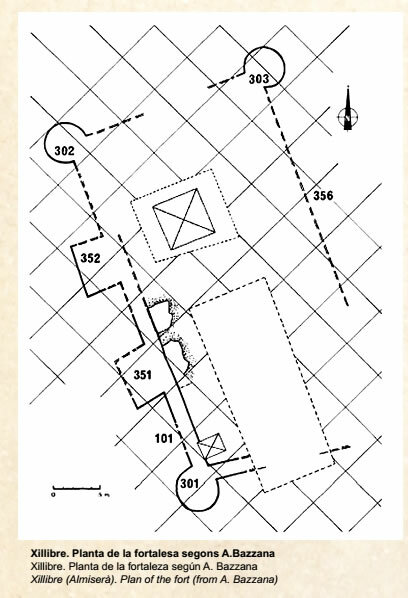 Inside this area (north of the wall), there are no structures nor other evidence indicating occupation of the area. The few archaeological materials recovered on the surface are fragments of day-to-day pottery which are difficult to date exactly, but which can be placed between the 8th and 10th centuries. 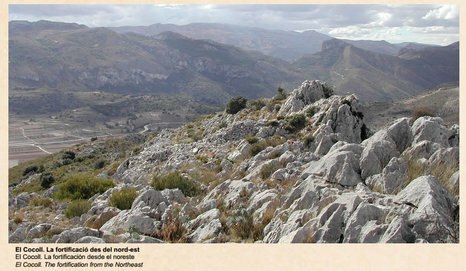 El Cocoll is located to the east of the municipality of Castell de Castells on the ridge of the Cocoll mountain range at about 950 metres. 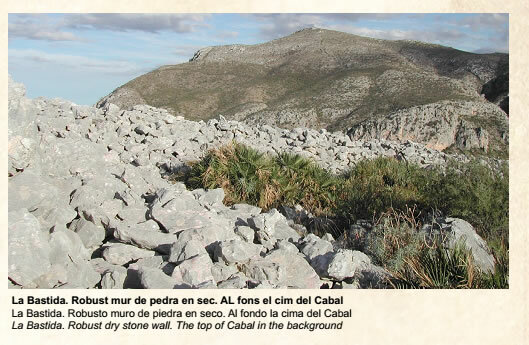 It is a magnificent dry stone wall (about 87 metres long) protecting the area of easier access to the south-east, while the north-west is protected naturally by the vertical cliffs of the Galitero ravine. The space bounded by the wall and the cliff is about 1500 square metres, with no observed structures or other elements. There are very few archaeological remains with only a few fragments of day-to-day pottery from between the 8th and 10th centuries. The final settlement with these features and chronology is the "Tossalet Pere Antoni". This site occupies the south-eastern slope of a hill, at an altitude of between 190 and 160 metres, located at the foot of the south face of the Sierra de Segària between the villages of Sanet y Negrals and Beniarbeig. 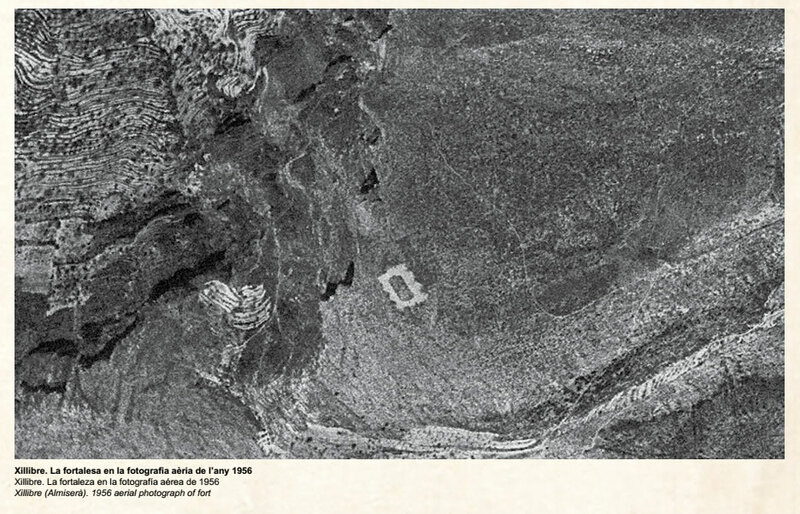 Terraced agriculture, erosion and vegetation have altered the settlement, which we know by the foundations of a substantial wall of limestone blocks having an approximate north-south orientation defining the west side. 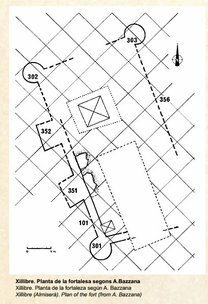 Ceramic fragments collected here are characterized by the absence of glazed pottery and a scanty selection of oxidised everyday pottery (jugs, jars, bowls etc); these date the site between the 8th and 10th Centuries. At the extreme north-west of the Marina Alta on the top of Mount Almiserà (725 m), lie the remains of a very unique fortress known as Xillibre. It is rectangular, about 35 by 22 metres, has round towers at each corner and two square turrets on each of the long sides. 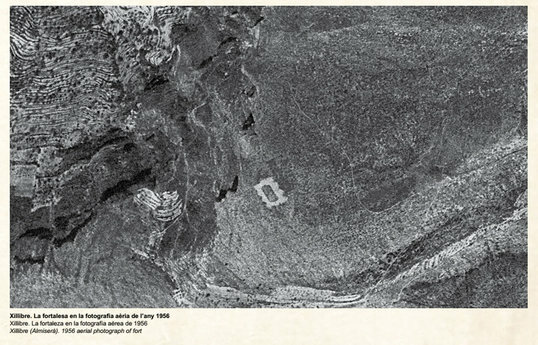 All the construction is done with medium-sized dry stone, similar to that used in the fortifications described above; but now we are looking at building with a planned layout, which reflects the Umayyad fortresses and castles of the Middle East and the Maghreb, but made with a local construction technique.